"Covering All Private And Corporate Functions"
I am a full time professional DJ based in Thurrock supplying entertainment to both private and corporate clients, including many wedding and conference venues. With many years experience, I am able to cater for a very wide age range from birth to bus pass and beyond! Featuring nightclub style lighting effects, and professional grade sound equipment I am ready to help make your occasion a night to remember! I am also able to supply fully hosted quiz nights for up to fifteen quiz teams with wireless 'fastest finger first' slam buzzers for each team, and a variety of questions and topics from my twenty plus years as a professional quiz compere. Required by many venues, Dream Machine Entertainments has a current PLI policy with Mobile DJ Network in the amount of £10 million. Also required by many venues, Dream Machine Entertainments has supplied satisfactory evidence of holding current PAT inspections of their equipment dated within the last 12 months. A Method Statement outlining Dream Machine Entertainments&apos; Health & Safety procedure for setting up disco equipment has been provided. Dream Machine Entertainments has provided Risk Assessments undertaken at events sourced via needadisco.com, indicating that they can undertake these competently. Why do people choose to book Dream Machine Entertainments? Offered what I wanted and matched the price. Very professional reply which gave me confidence. "Excellent work. Highly recommend. Will be happy to use again in the future"
"Thank You so much for your kind words, it was a pleasure to be of service." "I would highly recommend Dream Machine Entertainments from start to finish Tony was a delight !! " "Thank you so much for allowing us to be part of your day. It was a pleasure to be of service." "I had some major concerns before the event due to unexpected heavy snow. A few of the guests couldn't make it but when I spoke to Tony he said not to worry, he'd be prepared and he'd leave early and he'd be there. This reassurance was just what I wanted to hear given the potential problems with the weather and true to his word he was there and ready in perfect time. No concerns in recommending him at all." "Thank you so much for your feedback, it was pleasure to be part of your evening." "He was not as good as we hoped"
"I am sorry you felt the performance was not up to scratch. Unfortunately due to the unusually hot weather your guests preferred to be outside in the sunshine!" 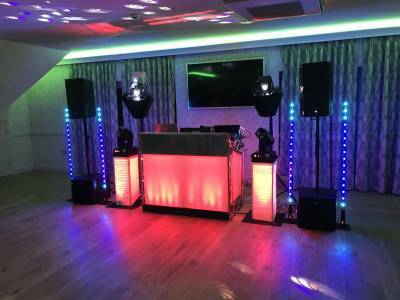 "Would highly recommend this DJ and will definitely use them again, They really made the party a fantastic success providing the perfect music Thanks." "Thank you so much for your, feedback. I was so glad to be part of your Celebration." "Tony and Mark provided a brilliant service for our sons 13th Birthday party. They were friendly and efficient in setting up. Great lighting system and picture props were provided and included in the price. Wouldn't hesitate to recommend to family and friends. Thanks again Julie and Mick"
"Thank you so much for asking us to be part of Oscar's birthday celebrations. Great night!" 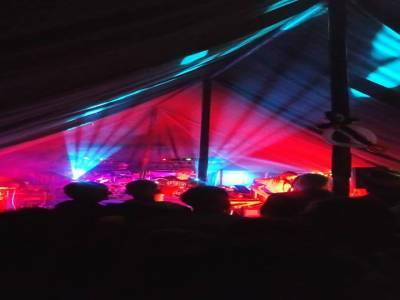 "Tony best provided us with an amazing disco I was so pleased with how the evening went. The lights were amazing and he played requested songs promptly. He didn't over use the mic just announced what was needed. Can not thank him enough"
"Thank you for your feedback, and for making us so welcome, it was a pleasure to work for you." "Anthony. (Tony) was very professional we made all contact via email. I was not very helpful with music suggestions but Tony delivered on the night and we danced all evening... Had a great night Thank You "
"Thank you so much for your comments, and for making us so welcome, it was a pleasure to be a part of your special day "
" Very good, great with helping with our presentation"
"Glad we could be of service to you, a great night and the boys Running Man was awesome"
"The night went really well, and the kids loved the glow sticks, could have done with a few more modern tracks though." "Thanks for your feedback, we really appreciate it. We managed to play everything on your playlist and those requested by your guests." "He played songs not on the play list I posted to him some I didn't like and left out specific records I did ask him to play"
"Im sorry we did not meet your expectations, but with five pages of requests it was an uphill task. Also the insistence for Pink Floyd for the last thirty minutes was not appropriate for your audience." "Tony is an excellent DJ started off a bit slow but once we put a couple of requests in & he got a feel for what we liked he was absolutely brilliant, everyone commented on how good he was I would highly recommend Tony & colleague for 60s/70s, Motown & modern party music, an all round family entertainer, thank you for making mums night special." "Thank you for choosing us for your Surprise Birthday Party! It was a pleasure to be part of your special occasion. x"
"The set up was achieved with no issues and they provided great presentation and music everybody provided good feed back"
"It was a pleasure to be part of the 21st celebrations, thank you." "Next time I need a DJ - Dream Machine Entertainments is top of the list. Friendly, no fuss to set up and had lots of people up dancing. Fantastic value - highly recommended"
"Thank you so much for allowing us to part of your special day, and the great feedback." Dream Machine Entertainments also offers a range of additional party services not directly linked to musical entertainment. Get FREE no-obligation disco quotes from Dream Machine Entertainments and other DJs covering your venue. Take 2 minutes to fill in some basic details and we'll do the rest! If you are contacting Dream Machine Entertainments about an event, it's always a good idea to include the DATE, LOCATION, EVENT TYPE, AGE GROUP and TIMINGS to speed things up!